Straight from the pages of DC Comics' THE NEW 52, Poison Ivy joins ranks with covert-ops team, Birds of Prey! It appears to be a brand new day for POISON IVY as she reverses her Villain status and becomes a Superhero. What? Has Pamela Isley turned a new leaf? 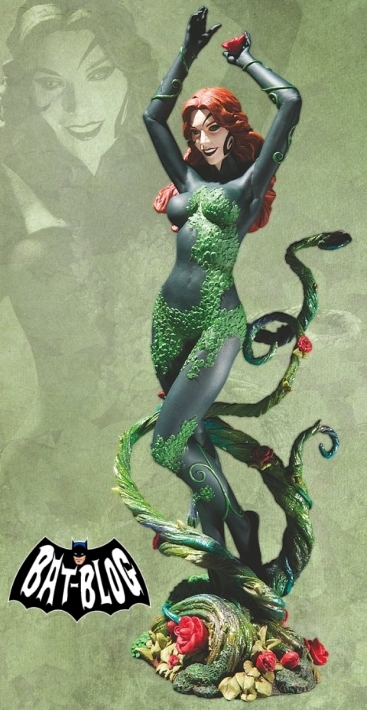 Here's a brand-new DC Direct DC Cover Girls Statue that measures a little bit over 10 inches tall and will retail for around $99.95. Oh yeah, be sure to look for it around December of 2012.